Today we’d like to introduce you to Cathi Brennan. I am an avid beach volleyball player and an athlete. Some years ago I experienced ongoing back pain. . Each time the physician said “lay flat on your back for 3 days”. The pain would resolve for a while, but always return. Upon a recur, I returned to my physician to find that he had retired and his replacement was a younger, athletic physician who had different ideas on how to treat back pain. This doctor evaluated me, but this time, instead of the “flat on your back” advice, he referred me to a Physical Therapy Group. Each visit involved a massage for the soft tissue, then an educational session with the Physical Therapist. I learned how to release my tissue, and how I could move differently and better to avoid future injury. My follow-up included monthly visits with the Massage Therapist. I became convinced he kept my muscles, and thus my joints, loose and injury free. Being able to move freely again is a gift! I saw and received the value of appropriate Physical Therapy, Massage and Injury Recovery techniques. I knew this was for me. 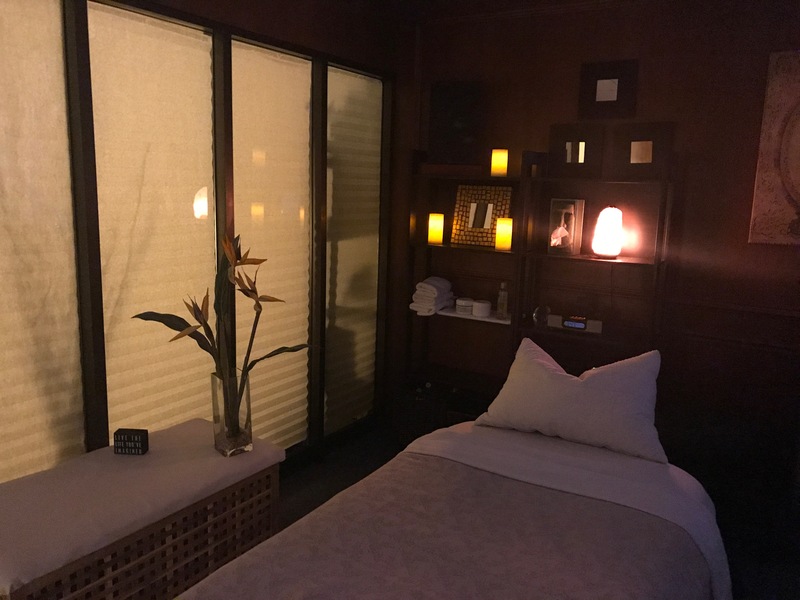 One day, in a Moment of Clarity, I impulsively stopped at the International Professional School of Bodyworkers (IPSB) and enrolled into the 2 year course for Massage Therapists. I have worked closely with Physical Therapists and a few physicians since. My own sports injuries, the treatments I have received, have kept me on a learning course as well! Keeping people moving, healthy and pain free is my daily joy. 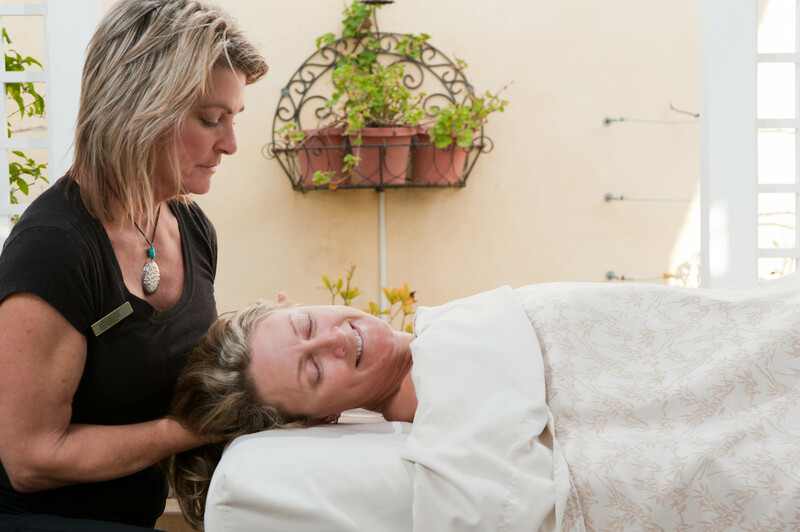 One of my biggest struggles was believing in myself and my different approach to bodywork, to market myself strongly, thus create a regular reliable clientele and income. Working for myself, it has taken time to establish my reputation, referrals and regular clients. It takes faith and confidence, to keep going in the lean times. 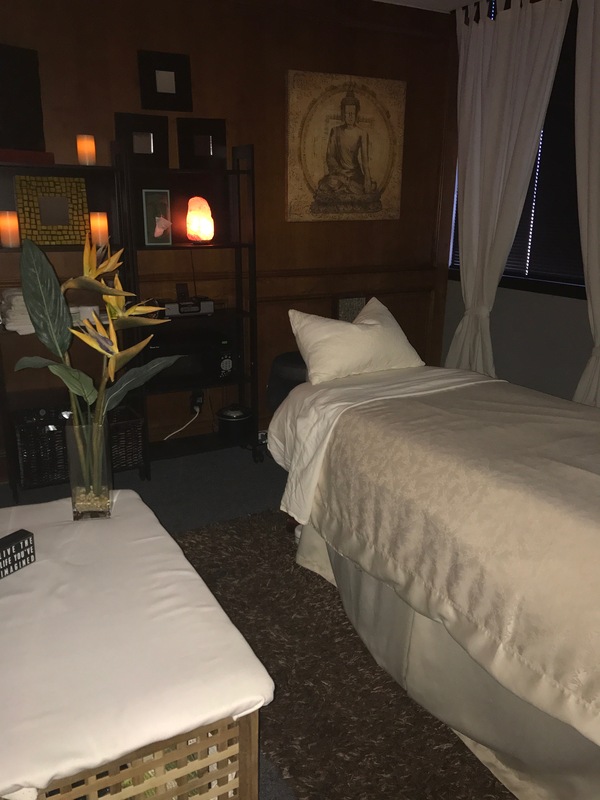 Massage by Cathi – what should we know? What do you guys do best? What sets you apart from the competition? 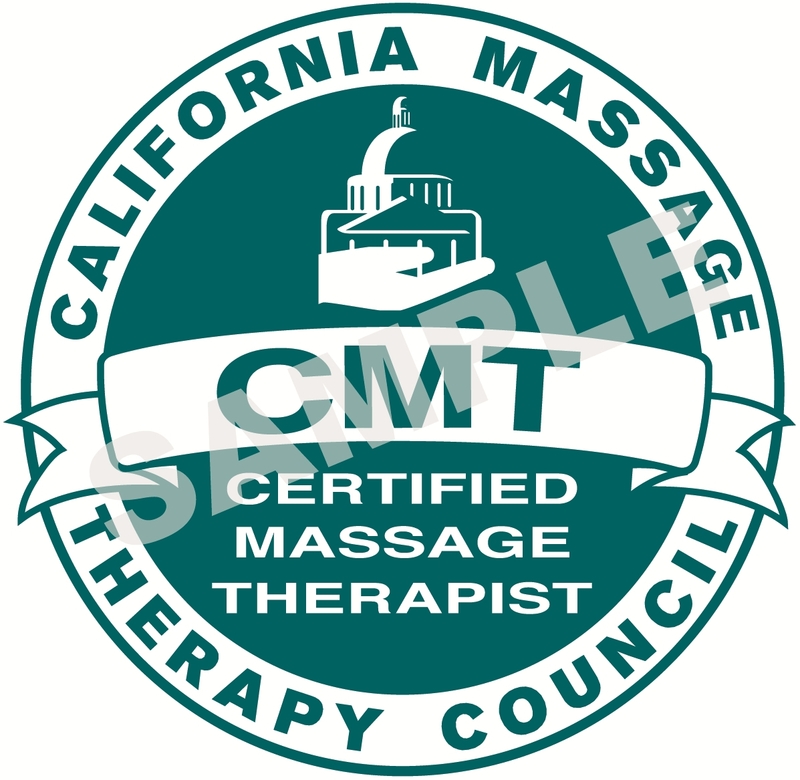 I am certified by the State of California and insured by the American Massage Association. I am also a graduate of the International Professional School of Bodywork (IPSB) in San Diego California. 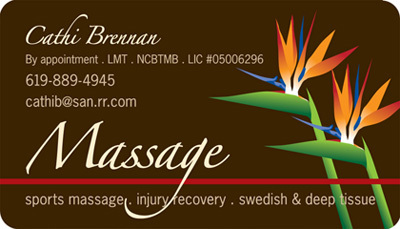 I specialize in sports massage, injury recovery and relaxation techniques. I am also certified in Pregnancy and Visceral Massage. I have an in-depth anatomical knowledge of muscle movement, range of motion assessments and injury evaluation. I have a unique approach to Bodywork and take pride in my anatomical knowledge. I use that knowledge to assess, then apply massage in appropriate manner to release restrictions within the body. Restrictions within the body can also affect emotional well-being. A stress free body can partner with a stress free mind, and vice versa. I can affect change in the small stabilizing muscles in a body that can often be ignored, but are a huge aspect in musculo-skeletal movement. The day I passed the exam presented by the National Certification Board of Therapeutic Massage and Bodywork (NCTBTMB) with HIGH marks. This comprehensive exam evaluates knowledge of the body, knowledge of techniques, as well as knowledge of Standards of Ethics within the Massage Industry.